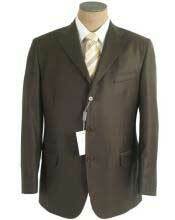 When you look for formal suits, the colors that come to your mind are black, brown or navy blue. Men who are looking for versatility in colors with formal look can consider a dark shade of green that looks bold and smart. 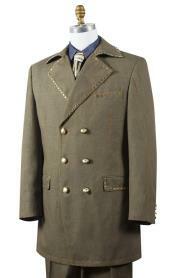 Olive green men's suits are a class apart that makes you look stand out in a crowd. Adding a touch of uniqueness to the formal look, these olive green men's suits are all you need to complete your formal look. 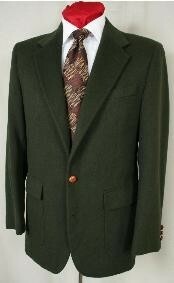 Compared to dark green suits, olive green is more appealing. 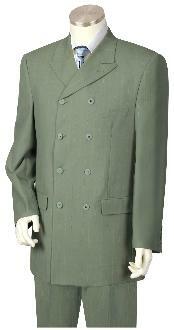 We have specially made olive green suit and forest green suits. 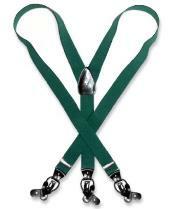 One more addition to our portfolio is the hunter green. 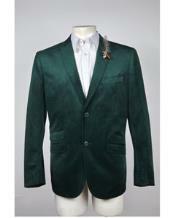 Mensusa.com is the exclusive seller for hunter green suit jacket. 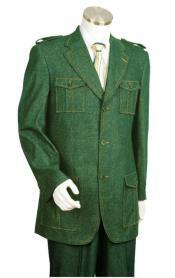 You cannot find hunter green suit jacket anywhere else. 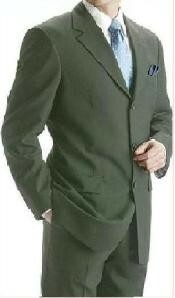 There are different variations available in men's olive green suit shades for men. 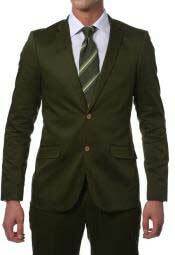 If you are of fair completion and you want to carry a bold look, you can consider wearing a dark olive green suit that will highlight your personality. 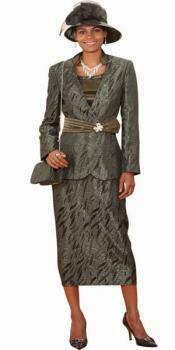 If you have a sober choice for the color shades then you can consider going for a lighter shade of olive green. The color green in itself is has a bright and warm welcoming appearance. 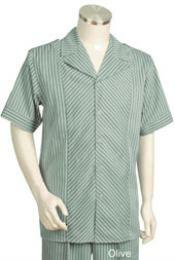 There are also different shades of green color available like mint green, bottle green, florescent green and so on. 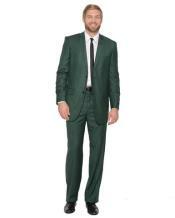 Green has been fully welcomed as a formal color for men's suits. 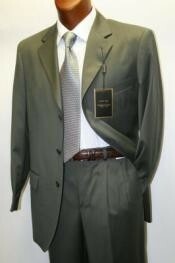 You can never go wrong wearing an olive green men's suit for a formal occasion. 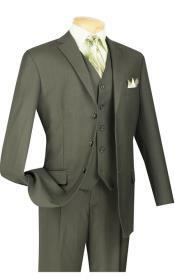 These olive green suits for men come in different styles, patterns and fabrics. You can choose to wear either a single breasted style olive green suit, or a double breasted style olive green men's suit. Both are suitable on the olive green shade. 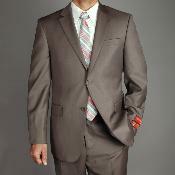 When it comes to fabric, men's designer olive green suits come in a wide range of fabric options to choose from. 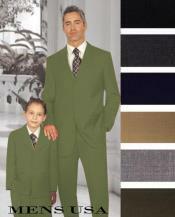 Olive green men's suits are available in sharkskin fabric, linen fabric, polyester fabric, poly~rayon fabric, seersucker fabric, cotton fabric and so on. 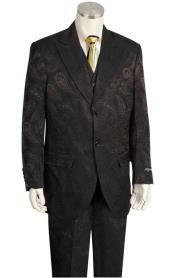 Men can choose the fabric based on the choice of taste and the occasion they are planning to wear the suit. 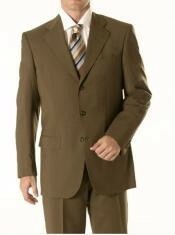 If you are planning to wear these suits for very rare occasions, then you may consider a polyester olive green suit as well, but if you are planning to buy a formal olive green suit for regular business wear, then you can go for fabrics like linen, seersucker, poly~rayon and so on. 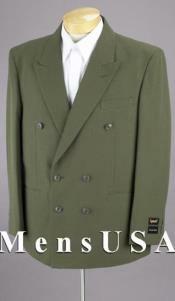 Mensusa is an online retail men's store selling all kinds of men's suits in different patterns, fabric, designs and colors. 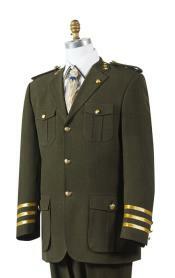 You will find amazing collections of men's olive green suits online at Mensusa.com. We sell all kinds of buttons styles like one button suits, two button suits, and three button suits and so on in all shades of olive green. 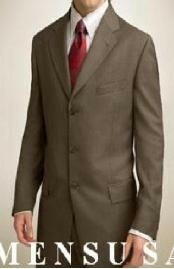 Browse through this category to buy olive green men' suits at amazingly low prices and best quality. You will find multiple options to choose from at Mensusa. You may also pick matching men's suit accessories, dress shoes and shirts for the olive green suit for men at the one stop shop.